The significance of integrated nutrient management practices is well established in improving the productivity of chickpea (Cicer arietinum); however, the effects of the inoculation of cyanobacterial inoculants on nodule metabolism, microbiome and associated genes are less explored. In the present investigation, cyanobacterium Anabaena laxa (A. laxa) and biofilm developed using Anabaena torulosa, with Mesorhizobium ciceri as a partner (An-M. ciceri), were evaluated along with Mesorhizobium ciceri (M. ciceri) alone, in three chickpea cultivars. 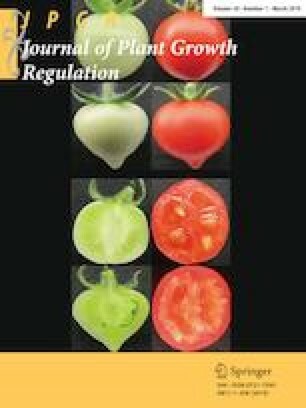 Microbial inoculation led to 40–70% enhancement in nitrogen fixation, leghaemoglobin and ureide content, and two- to threefold increment in nitrate reductase and phosphoenolpyruvate carboxylase activity of the nodules. An enhancement of 30–50% in the soil available macro- and micronutrients and plant growth attributes was also observed. A significant correlation between the soil microbiological and plant parameters was recorded, particularly in relation to the nitrogen dynamics. Increases in the leghaemoglobin content in nodules due to An-M. ciceri, A. laxa and M. ciceri ranged from 18 to 40%, particularly in chickpea cv. BG372 in which 60–80% enhancement was recorded. Whereas the nifH gene copies in the nodule tissues ranged from 5.00 × 106 to 3.35 × 107 g−1, the application of A. laxa led to higher abundances of nifH gene copies in desi chickpea cv. BG372 and kabuli BG1053 cultivars. An-M. ciceri, followed closely by A. laxa, was the top-ranking treatment, and chickpea cv. BG372 was the best performing cultivar; An-M. ciceri—chickpea cv. BG372 proved to be the superior combination for higher plant growth and soil nutrient-related traits. The online version of this article ( https://doi.org/10.1007/s00344-018-9809-8) contains supplementary material, which is available to authorized users. The present investigation was partially funded by the Network Project on Microorganisms “Application of Microorganisms in Agricultural and Allied Sectors” (AMAAS), granted by the Indian Council of Agricultural Research (ICAR), New Delhi to RP. We are grateful to the Division of Agronomy, ICAR-IARI, New Delhi for providing necessary facilities for the analyses of soil samples and Division of Genetics, ICAR-IARI, for the chickpea germplasm. The authors are also thankful to Dr. Firoz Hossain, Maize Genetics Unit, Division of Genetics, ICAR-IARI for help with the statistical analyses. We acknowledge the Division of Microbiology, ICAR-IARI, New Delhi for providing the necessary facilities to undertake this study.